Please Note: All trainings can be modified to meet your organization’s needs. CPP/CPS and CASAC Hours are provided. 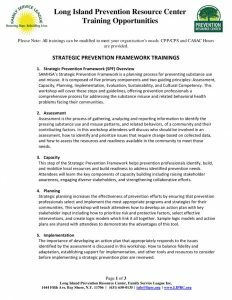 SAMHSA’s Strategic Prevention Framework is a planning process for preventing substance use and misuse. It is composed of five primary components and two guiding principles: Assessment, Capacity, Planning, Implementation, Evaluation, Sustainability, and Cultural Competency. This workshop will cover these steps and guidelines, offering prevention professionals a comprehensive process for addressing the substance misuse and related behavioral health problems facing their communities. Assessment is the process of gathering, analyzing and reporting information to identify the pressing substance use and misuse patterns, and related behaviors, of a community and their contributing factors. In this workshop attendees will discuss who should be involved in an assessment, how to identify and prioritize issues that require change based on collected data, and how to assess the resources and readiness available in the community to meet those needs. This step of the Strategic Prevention Framework helps prevention professionals identify, build, and mobilize local resources and build readiness to address identified prevention needs. Attendees will learn the key components of capacity building including raising stakeholder awareness, engaging diverse stakeholders, and strengthening collaborative efforts. Strategic planning increases the effectiveness of prevention efforts by ensuring that prevention professionals select and implement the most appropriate programs and strategies for their communities. This workshop will teach attendees how to develop an action plan with key stakeholder input including how to prioritize risk and protective factors, select effective interventions, and create logic models which link it all together. Sample logic models and action plans are shared with attendees to demonstrate the advantages of this tool. The importance of developing an action plan that appropriately responds to the issues identified by the assessment is discussed in this workshop. How to balance fidelity and adaptation, establishing support for implementation, and other tools and resources to consider before implementing a strategic prevention plan are reviewed. Measuring and evaluating coalition work provides both short and long term data helpful in measuring the impact and effectiveness of the work done by the coalition. Data provides insight toward the selection of future programs, planning for funding and budgeting, and the use of available resources. Why we collect data, types of data and outcomes to look for, and how to share the results will be discussed. Process evaluation examines how prevention program activities are delivered. It helps practitioners to determine how closely the intervention was implemented as planned and how well it reached the target population. How to measure participation and fidelity will be covered in this workshop. Developing cultural competence results in an ability to understand, communicate with, and effectively interact with people across cultures. Awareness of cultural differences, practices and skills as well as one’s own cultural worldview is important to the overall approach and effectiveness of a coalition’s efforts. In this training cultural awareness, attitude, knowledge and skills will be highlighted to help prevention providers infuse cultural competency into all steps of the Strategic Prevention Framework. Coalitions should conduct periodic evaluations of the coalition, its leadership, its effectiveness and whether the original mission and vision statement still accurately represent the goals. This training addresses the evaluation and maintenance of the coalition. A Sustainability Plan can assist in maintaining momentum, a stable infrastructure and expansion efforts. This seven hour training, created by the Substance Abuse and Mental Health Services Administration’s Center for the Application of Prevention Technologies (SAMHSA’s CAPT), describes the six principles of the Prevention Code of Ethics, illustrated by realistic examples designed to enhance understanding of each principle. Attendees will also be introduced to a decision making process designed to help them apply this code to a variety of ethical dilemmas. Developed by the Pacific Institute for Research and Evaluation (P.I.R.E. ), this training provides an overview of environmental strategies and the role of media in implementing these strategies. Specific examples are provided, as well as an in-depth look at Media Advocacy, Social Marketing, and Social Norms Misperception campaigns. As part of their annual work plan OASAS funded providers are required to conduct a needs assessment of the communities and populations they serve. This workshop outlines how to conduct a needs assessment for this purpose including risk and protective factors, different types of data sources and how to use them, and goal setting based on the needs identified. This training does not cover specifics about the WITNYS system. This four day training is designed to help practitioners develop the knowledge and skills needed to implement effective, data-driven prevention that reduces behavioral health disparities and improves wellness. It is appropriate for entry-level prevention practitioners, as well as professionals working in related fields. 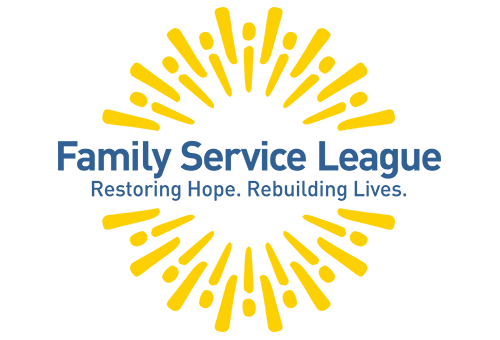 SAPST was created by the Substance Abuse and Mental Health Services Administration’s Center for the Application of Prevention Technologies (SAMHSA’s CAPT). Attendees are required to complete a five hour online course prior to attending this in person training. This seven hour training provides a broad overview of Motivational Interviewing (MI) and Screening Brief Intervention and Referral to Treatment (SBIRT) followed by an in depth introduction to the structure, scripts, and worksheets of the brief intervention Teen Intervene. Designed specifically for youth who are experiencing mild to moderate problems associated with alcohol or other drug use, Teen Intervene provides education, support, and guidance for teens and their parents. Through this brief intervention model of care, youth work with a counselor on identifying and changing their choices and behaviors. Volunteers are an integral part of every step of a strategic prevention plan, but finding them and utilizing their skills in prevention efforts can sometimes be difficult. Using the Strategic Prevention Framework steps, this training will provide attendees with strategies for how to recruit, engage, and retain volunteers. Click the below image for a printable version of this list.